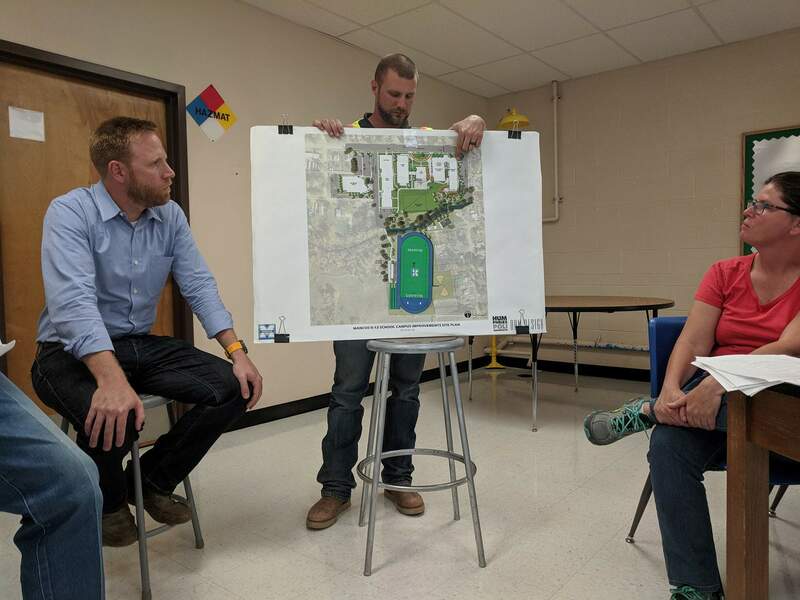 Project superintendent Neil Dolder shows a map during a construction update at the Mancos school board meeting on Thursday. Architect Max McCloskey, left, also answered questions about the campus project. 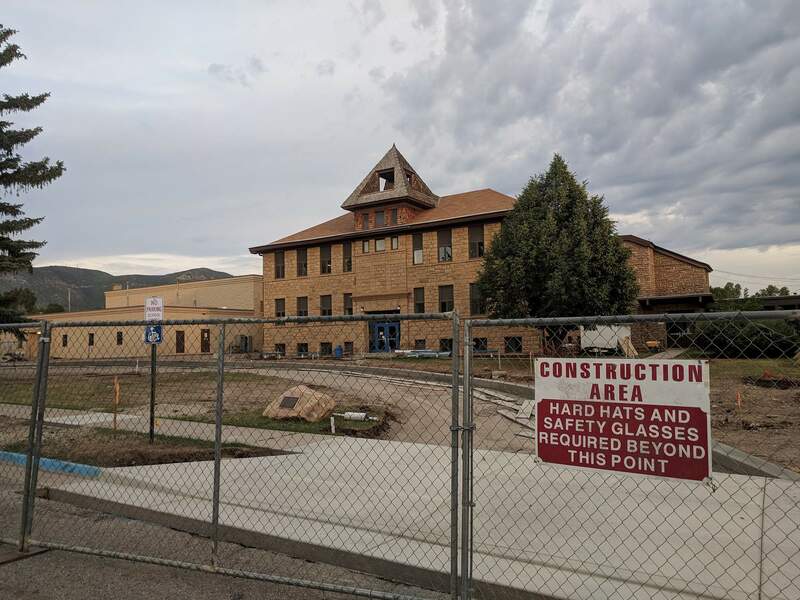 The Mancos School District grounds are currently closed to public entry, but the new bus lane will be ready when school starts Aug. 13. The project, which began in late May, is still in the first of three main phases, but Guiles said everything was going pretty much as scheduled. Phase 1 involves most of the school grounds, including almost everything north of the Mancos River. Construction has not yet reached the football field and Performance Center, which will be tackled in later phases. A bus loop and improved pickup and drop-off zones certainly do that by keeping children off the streets, Guiles said. He emphasized that safety is the utmost priority during and after construction, and he said many plans are in place to make sure the campus is safe during construction. Phase 1: Build a bus loop on Grand Avenue and a parking lot on Beech, and update the parking lot on Walnut before school starts Aug. 13. Remodel the high school administration building to add offices and complete other electrical and fire safety work.Phase 2: Begin additions to the main gym and the elementary school and remodel the multipurpose building after school starts, and complete the work in April 2019.Phase 2A: Build an asphalt track and a turf practice field behind the school at the end of football season and complete the work in time for track season in spring.Phase 3: Remodel the Performance Center and middle school after Phase 2 and complete the work in the 2019-2020 school year.Because construction will continue year-round, the campus will be a work in progress for a few years and may not be the most aesthetically pleasing until new trees are planted and landscaping is done. However, Guiles said, it will all be worth it.